If you’re wondering why I’ve been a little quiet lately, it’s because life has rather been knocked sideways by the death of my mum, followed by the death of a good friend. You can read my take on grief and writing over at Strictly Writing. But I have managed to do some promo – Derek of the Strictly crew interviewed me on his own blog, here. 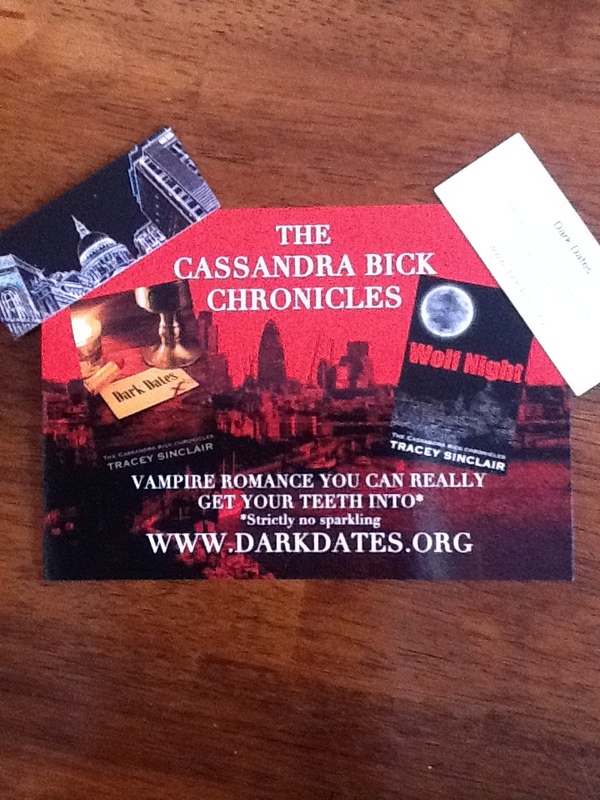 And, even more excitingly, I finally got round to getting some Dark Dates promo stuff done. I went to Moo, which does fairly cheap cards and postcards and the like, and my cover designer Caroline at Red Button did the designs (and helped me tweak the images when I was being useless…). Excuse the blurry iPad photo, but they are super cute, right? This entry was posted in Uncategorized and tagged blogs, interviews, promo, promotion, promotional material, Red Button Publishing. Bookmark the permalink. « What happens when a vampire and an angel watch Supernatural and Buffy?